Fans around the world are about to experience a major evolution to the Pokémon series of video games. On October 12, Pokémon X and Pokémon Y, the newest installments in the world-famous series, are launching for the Nintendo 3DS family of systems, including the new Nintendo 2DS system, which also launches on October 12. In the games, players can discover new Pokémon, interact with them like never before, connect with Trainers around the world and explore an entirely new region that is brought to life with stunning new visuals. 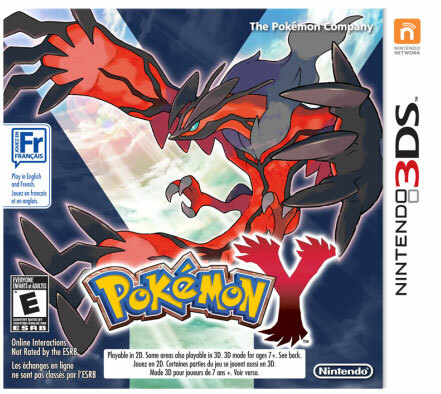 Pokémon X and Pokémon Y feature a wide array of new and returning Pokémon to catch, battle and trade. Players will be introduced to a new generation of Pokémon, including three new Pokémon to choose from at the beginning of the game – the Grass-type Chespin, Fire-type Fennekin and Water-type Froakie – and epic Legendary Pokémon. 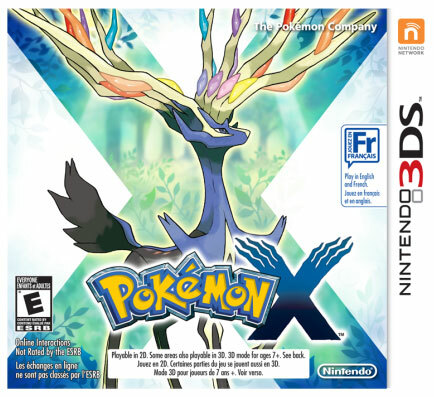 Pokémon X presents the majestic and mysterious Xerneas, while Pokémon Y features the strong and powerful Yveltal. In addition to the new Pokémon, hundreds of past favourites from previous generations are brought to life with detailed graphics and animations. Players will also be given the choice to receive Bulbasaur, Charmander or Squirtle – classic Pokémon from the very first games in the series, Pokémon Red Version and Pokémon Blue Version. Pokémon X and Pokémon Y also introduce the Fairy type, the first new Pokémon type since Pokémon Gold and Pokémon Silver, adding a whole new layer of strategy to battles. The battle system in Pokémon X and Pokémon Y has also experienced a major evolution, with new awe-inspiring Mega Evolutions and powerful new moves that certain Pokémon can use. In Pokémon X and Pokémon Y, a dynamic camera rotates around the battle, showing off the games’ exquisite animations and detailed graphics. New Horde Encounters take battling in the wild to a new, intense level that pits the player and a single Pokémon against multiple wild Pokémon. As players explore the new, beautiful Kalos region, they will visit rolling meadows, high cliffs, deep caves and unique towns and cities, each packed with cafés, boutiques and various shops. The main playable male or female Trainer – who can be fully customized with clothes, accessories and haircuts – can even roller skate for faster movement or ride select Pokémon to get through difficult areas. Pokémon X and Pokémon Y introduce a host of new features that have never been seen before in the series. Pokémon-Amie is a new mode in which players can pet, feed and play games with individual Pokémon using the touch screen on the Nintendo 3DS system. By interacting with their Pokémon, players can bond with them, which will result in higher performance in battles. Players can also engage in Super Training with Pokémon to help them grow stronger when not in battle. The new Player Search System (PSS) makes it easy for players to connect, battle and trade with others nearby and around the world. Coming soon, Pokémon Bank is a Nintendo 3DS application and service that lets players store up to 3,000 Pokémon for an annual fee. Poké Transporter is a companion application to Pokémon Bank that allows players to transfer Pokémon from Pokémon Black Version, Pokémon White Version, Pokémon Black Version 2 and Pokémon White Version 2 to Pokémon Bank, thereby making them available to use in Pokémon X and Pokémon Y. Both Pokémon Bank and Poké Transporter will launch in the Nintendo eShop on December 27. Pokémon X and Pokémon Y will be available in stores and for purchase in the Nintendo eShop on Nintendo 3DS on October 12. The new Nintendo 2DS hand-held system also launches October 12, designed specifically for anyone looking for an entry point into the exciting world of Nintendo hand-held video games. The system maintains many of the same hardware features as Nintendo 3DS, like touch-screen controls, StreetPass, online multiplayer functionality and the ability to download games – all in a compact and comfortable package. Nintendo 2DS plays all Nintendo 3DS games, including Pokémon X and Pokémon Y, in 2D, in addition to the huge existing library of Nintendo DS games. Additionally, two striking red or blue Nintendo 3DS XL systems themed after Pokémon X and Pokémon Y, and featuring art of the two new legendary Pokémon, Xerneas and Yveltal, launched on September 27 and are now available in stores nationwide at a suggested retail price of $199.99. This entry was posted on Wednesday, October 9th, 2013 at 11:06 am and is filed under Action Adventure, Everyone, National News, Upcoming Releases. You can follow any responses to this entry through the RSS 2.0 feed. You can leave a response, or trackback from your own site.